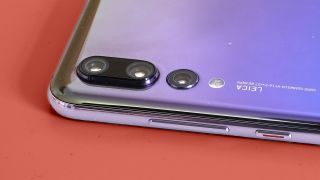 The Huawei P20 Pro already has three rear cameras and rumors suggest that the Huawei P30 Pro will stick with that number but up the megapixel count, with one lens potentially being 38MP. The rumor of that megapixel count comes from a post on Weibo (a Chinese social network) spotted by MySmartPrice, with the source claiming that the Huawei P30 Pro will use an upcoming 38MP Sony IMX607 sensor. This is apparently a stacked 1/1.8-inch image sensor with a square pixel array and will have a Quad-Pixel PDAF to give it fast autofocus speeds. It’s larger than the sensors found in most phone cameras which could also mean an improvement in image quality – though as MySmartPrice notes the high megapixel count will bring down the effective pixel size. This source doesn’t say whether there will be any other camera lenses on the back of the Huawei P30 Pro, but leaked case images suggest there will be two more, for three rear lenses in total. These images were shared by leaker Ice Universe and SlashLeaks, and show that as well as three lenses there’s a very large flash on the phone. You can also see a case supposedly for the standard Huawei P30, which again looks to have three rear lenses but with a smaller flash unit. One of the images also shows the P30 Pro from the front. We suspect this is a placeholder image, but it shows a handset with a small teardrop notch, a single-lens front-facing camera and tiny bezels. As ever, we’d take all of this with a pinch of salt, but with the Huawei P30 range probably landing in early 2019 now is when we’d expect to start seeing images leak. As for the 38MP camera, well, the Honor View 20 (made by a Huawei sub-brand) already has a 48MP camera, so that’s totally believable.